CRF Got a Christmas Present Too! WHAT DID CRF GET FOR CHRISTMAS? MORE MATCHING FUNDS FOR WATER WELLS! We are happy to announce that our matching funds for water wells have been renewed for 2018! 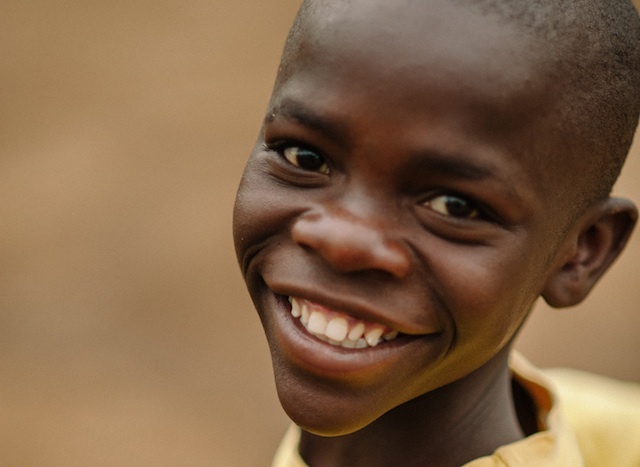 Every single dollar you give for water wells will be matched! And for every $5,000 we receive, we will be able to drill another well! Over the last few years, CRF’s water ministry has been able to provide clean water to nearly 200,000 people. 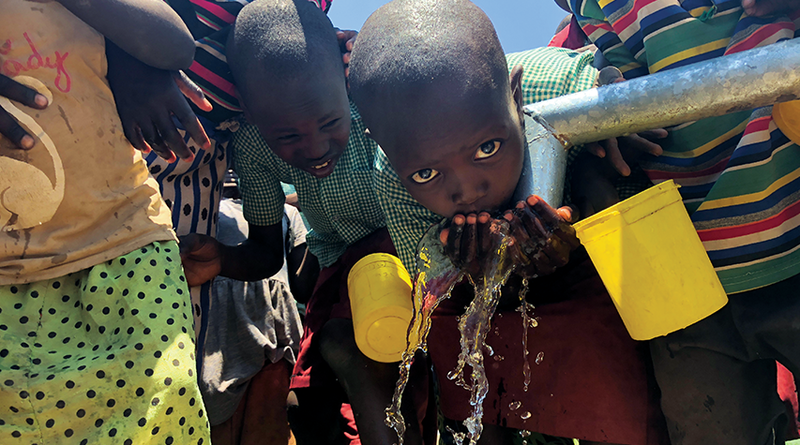 We never could have come this far without God’s faithfulness, our matching funds, and every donor who has given to help us make clean water access a reality for someone in need. We are so grateful to all of you! 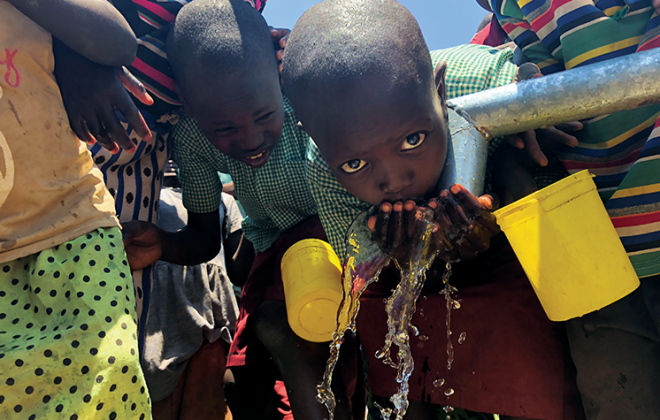 We know it can be difficult to comprehend the huge impact of clean water “on the ground” in the places where we work, so we wanted to share this thank you report from a mission compound in Kenya that we recently partnered with to drill a well. A very common sight at our mission house is to see women and children carrying 40-pound jerry cans on their heads as they leave the well where they get water for their daily needs. Both people and animals heavily use this well. It is normal to wait in long lines and then have to shoo camels, goats and cows away in order to get to the water. The location is muddy and vey unsanitary. Those who are close enough to walk for water are fortunate. Many have to dig down in the dry riverbeds to find water. The water they find is often full of parasites, disease, animal feces, and dirt. Clean water—what we take for granted as we stand under 15 minute showers—is life to them. 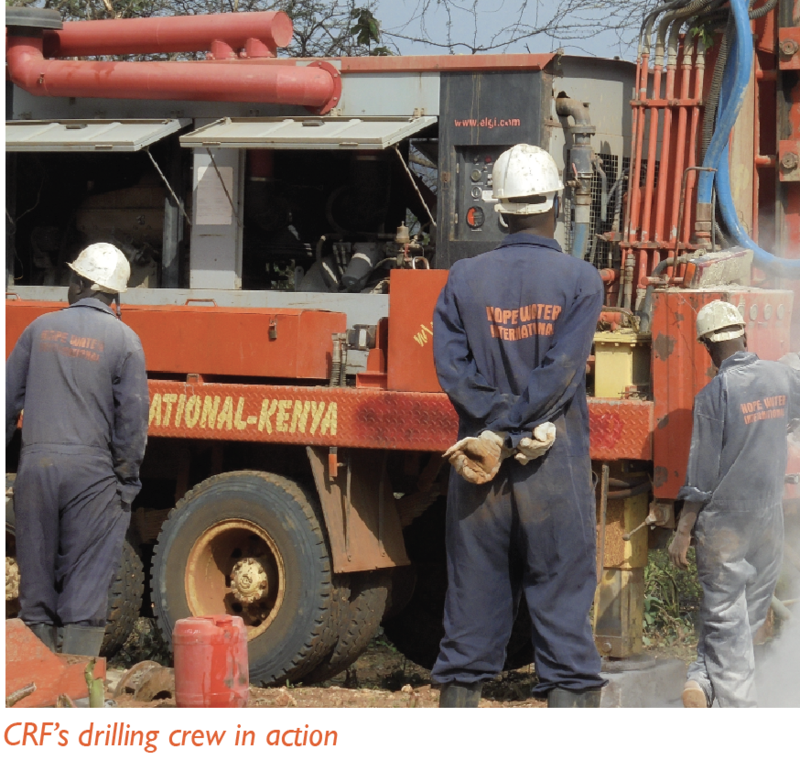 We teamed up with CRF to drill a new well at our mission compound. 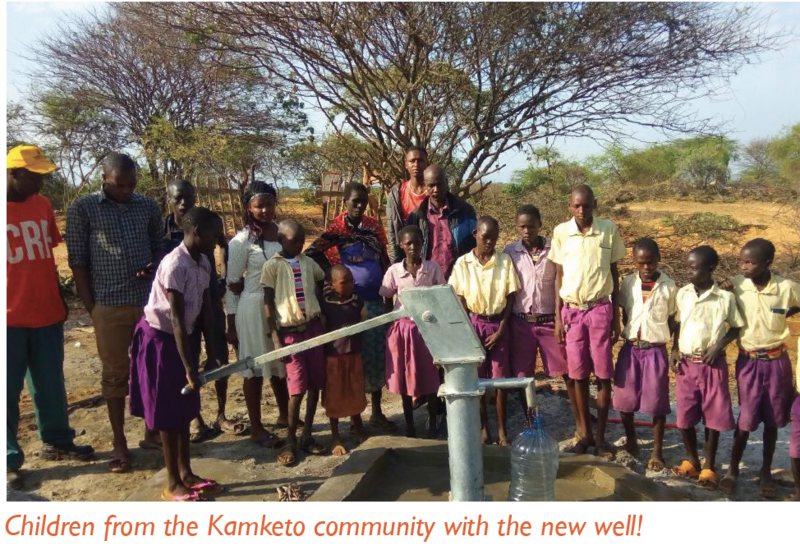 We wanted to express our great appreciation to CRF for partnering with us to provide a source of clean water to the Pokot people in the village of Kamketo, Kenya. Our thanks to CRF’s staff for making all of the arrangements to have a well drilled. The well is working great, and the Pokot people are so very thankful for it. It brings more people around the mission compound and is a great outreach, providing both physical water and the opportunity to share the Living Water with them. Thank you seems so inadequate for what has been provided to us.  CRF does an amazing work. We hope to partner again with you in the next year or so to bring water to at least two other villages that do not have access to water. God bless you! DONATE TO HELP US DRILL A WATER WELL! Every dollar you give will be matched to double your impact!